With over 23 million Facebook video views in less than a week, this new ad from Kleenex is helping to make sure that the Kimberly-Clark brand's plot to keep America crying into its tissues is going deviously well. 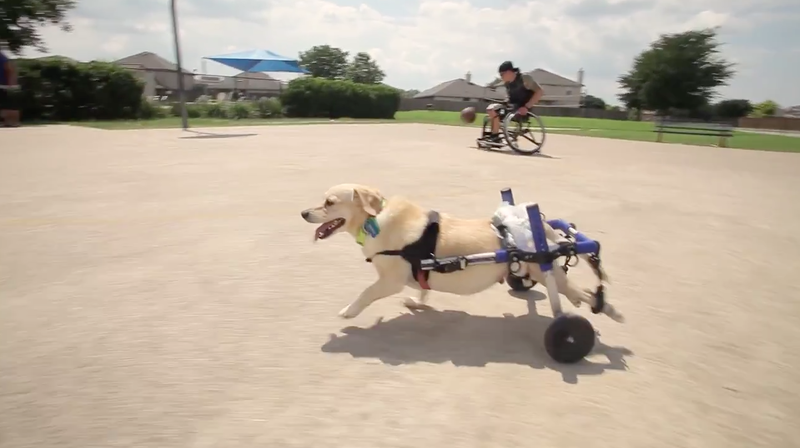 The latest video in the "Someone Needs One" campaign by VSA Partners was created by Vimby, and it combines dogs and disabilities—two of this year's successful Super Bowl ad themes. It's more than a tear-jerking testament to our love of a good cry. It's proof that Facebook is still a viral sharing force despite cluttered feeds and an algorithm that seems to block a lot of branded content. Vimby, working in partnership with VSA and Facebook, is creating all the online videos for the "Someone Needs One" campaign by leveraging its local documentary filmmaker network to collect the actual content. But the tale of an adorable dog who got a second chance at life by finding the perfect home has become a standout. Perhaps more interesting than the story of how yet another tear-jerking inspirational video went viral is the story in the comments. People who have adopted special-needs pets have been sharing pics of their own animals who got a second "Chance." It's one thing to be inspired, but it's another to be inspired to share your own story. It's that sort of word of mouth that gives this video its wow factor. So, give it a chance and see if you can keep from shedding a tear.